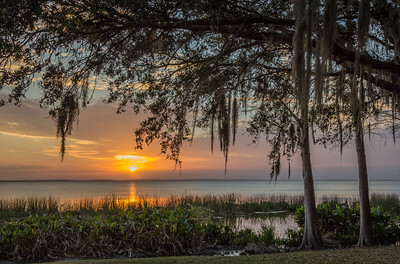 The sun sets over Lake Apopka near Orlando, Florida. 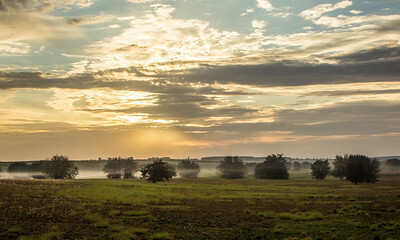 Fog hovers above the ground as the sun rises over the fields of central Florida. 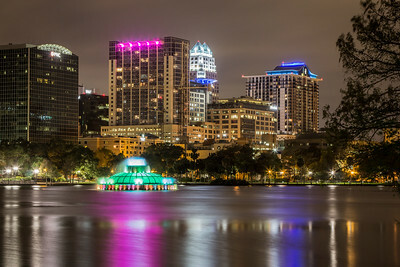 Orlando's Lake Eola at night.